Pine Bluff Rotary Club donated dictionaries to the 3rd grade classes of JME. This effort supports efforts to build reading and writing across the curriculum. 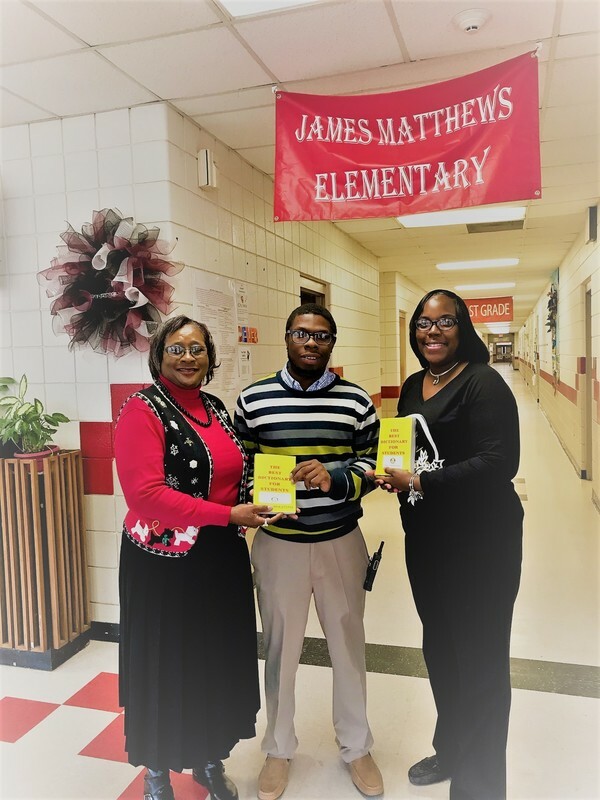 Pictured L to R: Diane Tatum of Pine Bluff Rotary Club, Mr. David Sims, Assistant Principal, and Ms. Leondra WIlliams, Principal.